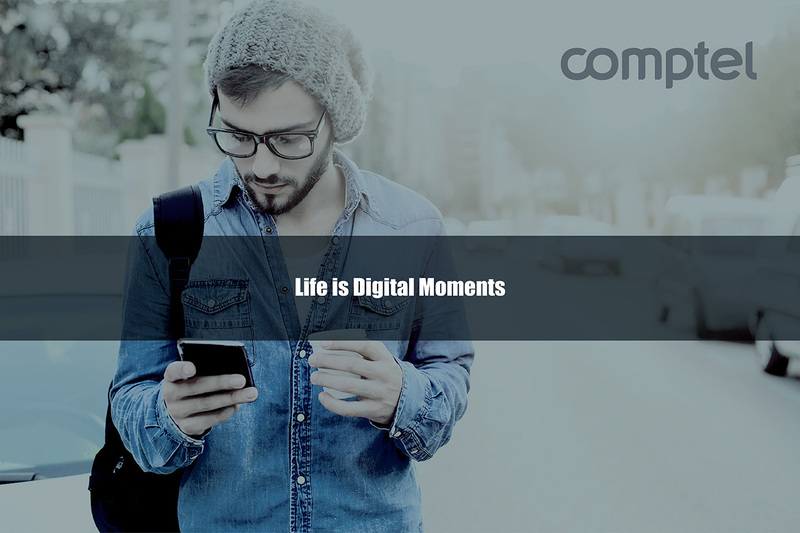 In 2016, Comptel focused on extending our Nexterday message and encouraging operators to stop over-thinking and start doing what they need to do to transform their businesses. The energy and excitement we felt at Nexterday North 2016, our second annual anti-seminar, told us that many operators are doing just that, turning the big ideas they hear around the industry into game-changing results. Here on the Comptel blog, we always want to give room for those big ideas to take shape. Let’s take a look back on some of the top pieces – and ideas – we wrote in the past year. All operators are on a journey to better serve their customers. The activities they take in this area can be put into two categories – customer transformation and network transformation. In this piece, we explained exactly what the personalised customer journey is all about, and offered a model for how operators can win the hearts and minds of their customers. The new iPhone UI looks a lot like the old iPhone UI, which tells you how iterative many of Apple’s latest updates have become. In this blog, we proposed that it’s time the OSS embraced a design overhaul, and explained exactly how the OSS of the future should look to offer the same ease of use you might expect from an iOS product. 2016 was also a busy year for Comptel and our partners. At TM Forum Live! in Nice, we were involved in three separate industry catalysts, each led by a Comptel partner. There was Telefonica’s Open Source MANO project, Orange’s sponsored data initiative, and IBM’s cloud-based networking architecture. These cross-industry initiatives are so important to Comptel because they keep us on the forefront of innovation. We want to lend our expertise in a way that benefits the entire industry, and we’re proud to stand alongside these partners in that effort. Our digital service lifecycle management (DSLM) model was a major theme for us in 2016, and in the Spring we put it to the test as part of the IBM Cloud Based Initiative. In this post, we explain exactly why and how digital service delivery needs to change to serve a new breed of digital customer. Innovation abounds in connectivity, and 5G represents one of many emerging frontiers for investment and development. In the U.S., regulators opened up spectrum for telco experimentation, and in this post we covered the challenges that lay ahead for telcos who dipped their toes in this industry. Pokémon GO was a huge mobile gaming craze in the summer of 2016, and T-Mobile jumped on the buzzworthy topic by offering players one year’s worth of free mobile data exclusively to play the game. It was another example of a savvy sponsored data play that shows other operators how they creatively leverage data access to win over digital customers. 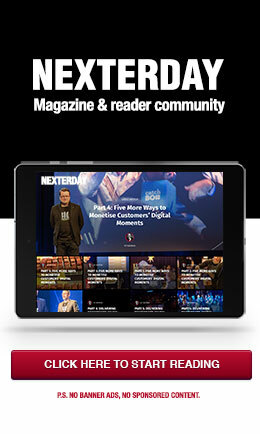 In 2016 we also launched Nexterday.org, our online magazine and reader community. You can read much more of our writing on digital transformation, customer experience and network innovation there. There remains no doubt that virtualization is shaking the foundations of the telecommunications industry and is here to stay. As the technology continues to mature and evolve, use cases become more realistic and so do the requirements to represent the service specifications that allow their programmatic utilization and consumption. Several standards organizations have laid proposals to this purpose and there appears to be consensus that, in the Network Functions Virtualisation (NFV) case at least, TOSCA NFV appears to be positioning itself as the preferred option for operators and vendors alike. The Topology and Orchestration Specification for Cloud Applications (TOSCA) is a data model standard managed by industry group OASIS that can be used to orchestrate Network Functions Virtualization (NFV) services and applications. TOSCA does this through a collection of information models and templates to orchestrate applications seamlessly across multiple cloud domains which is ideal for network functions that are virtualized and deployed in datacentres. At the time of this writing, the latest release of the TOSCA NFV Simple Profile dates from mid-March 2016. The document provides a good insight but it lacks practical, consistent examples (e.g. there are a few errors) and examples from additional sources are hard to come by. This applies to the Cloud Service Archive or CSAR (pronounced Cesar) packaging mechanism, in which the specification is conveniently wrapped with all the necessary components. [Comptel] has taken the information that’s publicly available and created some examples that we would like to share with the broader community. A basic representation of the Evolved Packet Core (EPC) Network Service Descriptor (NSD) composed of four Virtual Network Functions (VNFs) as shown in Figure 1 below. In addition, every node has a connection to a common management network. The CSAR file contains metadata, the service templates or specifications, images and the corresponding scripts for the VNFs themselves. Figure 2 shows the structure of the file. As displayed in Figure 3, the metadata file contains in line 4, a pointer to the main driving template, in this case the overall vEPC NSD which will link to the individual nodes (e.g. VNFs) and their relationship and corresponding connectivity. The NSD provides the global overview (refer to snapshot below) on how the different components (e.g. VNFs, VLs, FGs, etc.) come together. Lines 9 thru 13 point to the VNF templates, in this case for every VNF. The individual VNFs are described in lines 26, 37, 49 and 58 respectively. They contain a reference to the type, the list of (virtual) networks they are connected to and in those cases where applicable, a declaration of the forwarding graph capabilities (e.g. lines 45, 46 and 47). Additional details on the VNF themselves are contained on their own descriptors (VNFDs) which are shown later. Next are the details of the external connection points (CPs). These are demarcation points for the NSD as depicted in Figure 4 and they are described in lines 65, 73, 81 and 89. Finally, the networks interconnecting the VNFs themselves. In this case, all networks are point-to-point connections (e.g. ELINE) except for the management one, which is shared across all VNFs (ELAN). Every declaration, as seen in lines 97, 108, 113, 119, 125, 131 and 137 indicates the number of network entities attached to them. The VNFDs provide details on the specifications of the individual nodes. The vPDN GW descriptor is shown below as a reference. Starting on line 42 the connectivity is described. This VNF requires two computational resources as expressed on line 48 (VDU1 & VDU2). Two of its interfaces (CP21 & CP22) are enabled to support Forwarding Graphs (line 51). In this specific case, four standard transactions types are supported through self-contained scripts: create, configure, stop and delete (line 54). The interfaces and their respective networks can be appreciated in general the topology depicted in Figure 5. At the end of the VNFD template are two Forwarding Paths (Line 144 and 151). They represent the incoming and outgoing traffic for the PDN gateway. Figure 6 and Figure 7 provide a visual perspective of the traffic flows they control. Quality of Experience (QoE) or in general Quality of Service (QoS) features. There are some brief references in the existing standards but this area requires further development. The transactions/interfaces need to support more complex features that can allow them to be referenced and consumed more easily by higher order service orchestration processes. Forwarding Graphs should include indications of the traffic types. Although Comptel has worked out these areas for its own products and specifications, the real value materialises when these specifications become open and seamlessly interchangeable by the different components in the architecture.